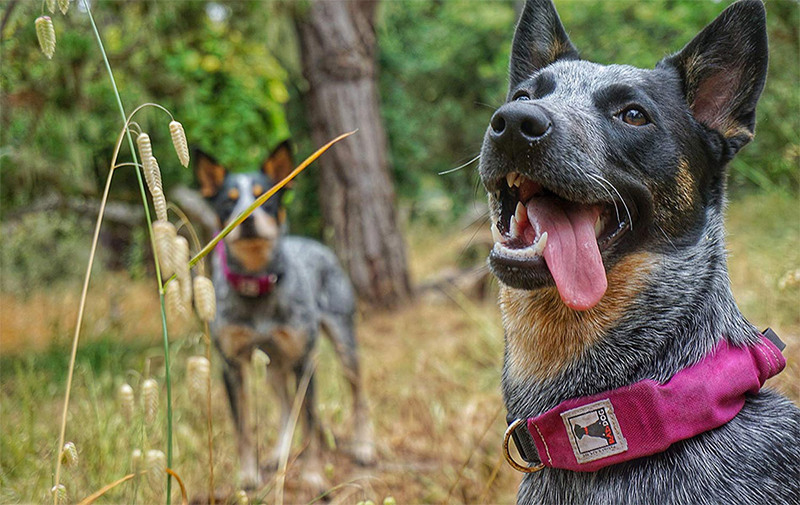 Designed for lucky pups that are mostly off-leash, the Rad Dog Release N Run Dog Leash and Collar give your dog a sturdy collar with a built-in 4-foot retractable leash. Easily give your dog freedom to run unencumbered once you hit the trail or dog park when you simply let go of the handle and watch the leash seamlessly retract into his collar. Made from durable nylon webbing Spectra by Honeywell, the Release N Run collar employs one of the world's strongest and lightest fibers available. Plus, you'll no longer have to worry about your dog getting tangled up in a loose lease!